Located in South Mumbai, Bhuleshwar is known for temples, traditional Indian food outlets and loads of shopping!! 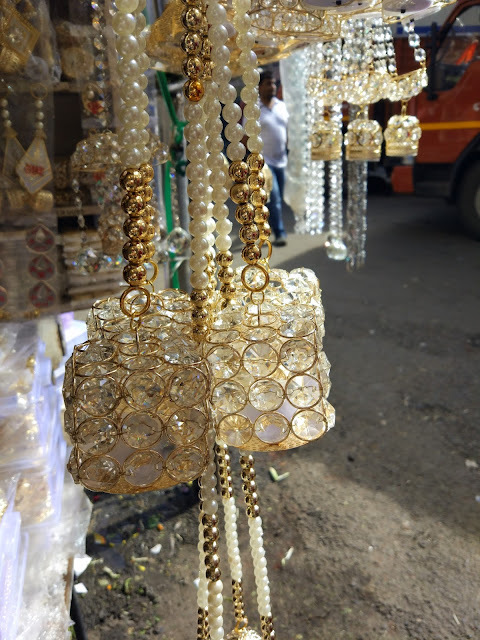 Surrounded by well known markets like Crawford market, Zaveri Bazaar & the iconic Mangaldas market that sell merchandise ranging from gift items, beautiful jewellery & luminous textiles.....Bhuleshwar is a shoppers paradise. A majority of Gujarati community resides around Bhuleshwar & one can still find authentic & delicious Gujarati & Rajasthani "thalis" (Indian meals) at unbelievable prices of INR 100 onwards (yes... approx 2 dollars). Beautiful traditional borders for sarees can change the look of a plain saree to vintage or contemporary as per choice. 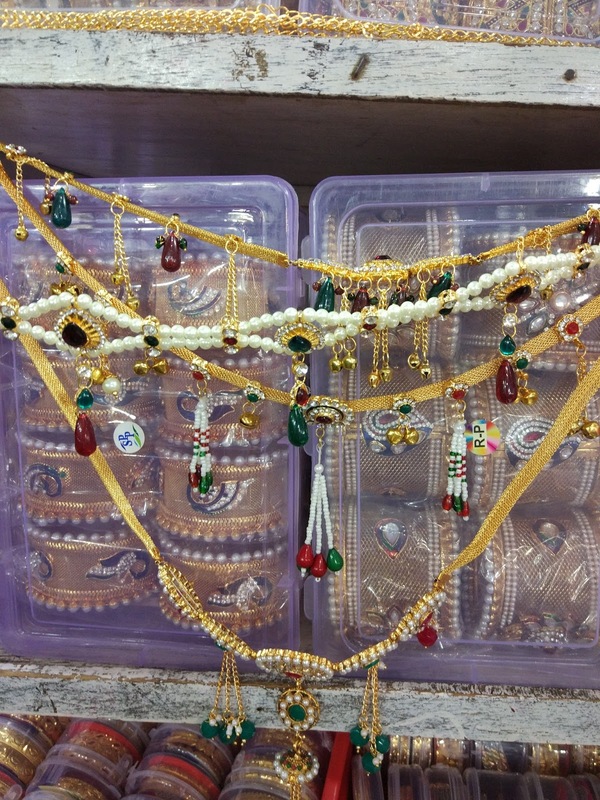 These beautiful borders with reshman, gotta patti, pearl & beads work start from INR 500 onwards. 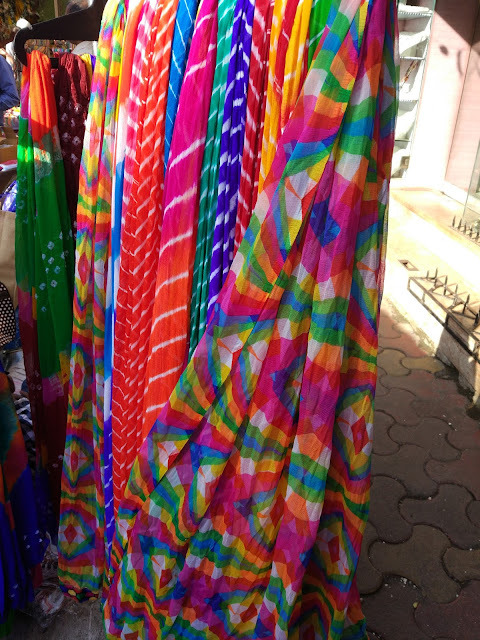 Apart from these, Bhuleshwar market is a treasure trove for traditional & contemporary female accessories, home decor items, festive decor, stylish sandals, colorful dupattas & glassware. 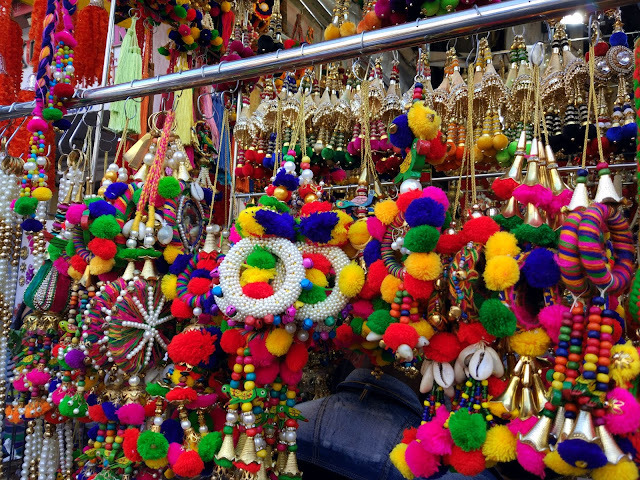 We decided to visit Bhuleshwar market just before the festive season & were delighted to find the range of accessories & knick knacks available at throw away prices. The busy by-lanes of Bhuleshwar hide amazing range of traditional & quirky female accessories like hair clips, hair bands, bridal embellishments & more. 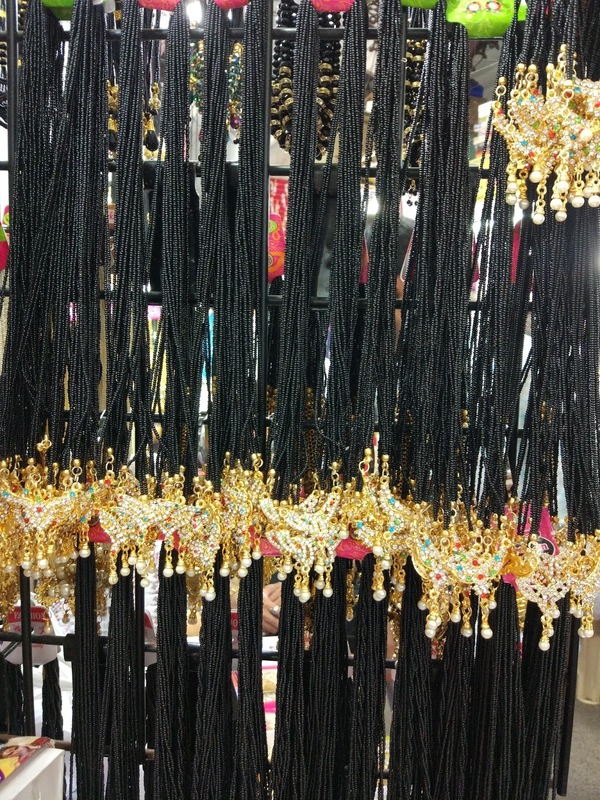 One can also buy artistic waistbands, necklaces & bangles from INR 125 onwards. Some shops sell only to wholesalers, so check before you set your eyes on something. Looking for colorful dupattas or traditional ethnic wear? 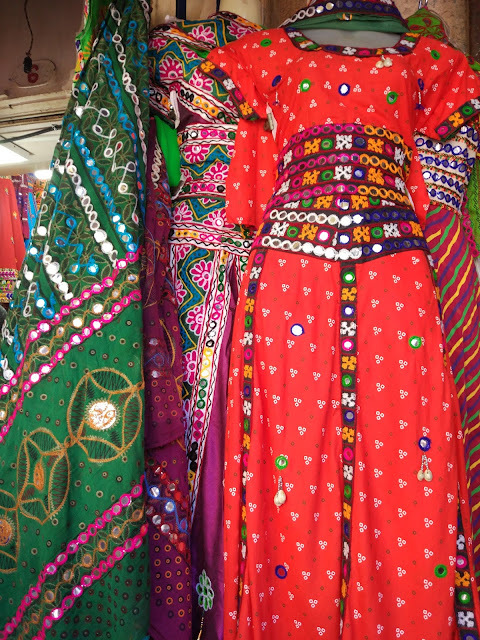 Bhuleshwar market is the place to find a tempting bargain. We found hair accessories in half dozen & one dozen packets that could make lovey gifts for friends & family alike. 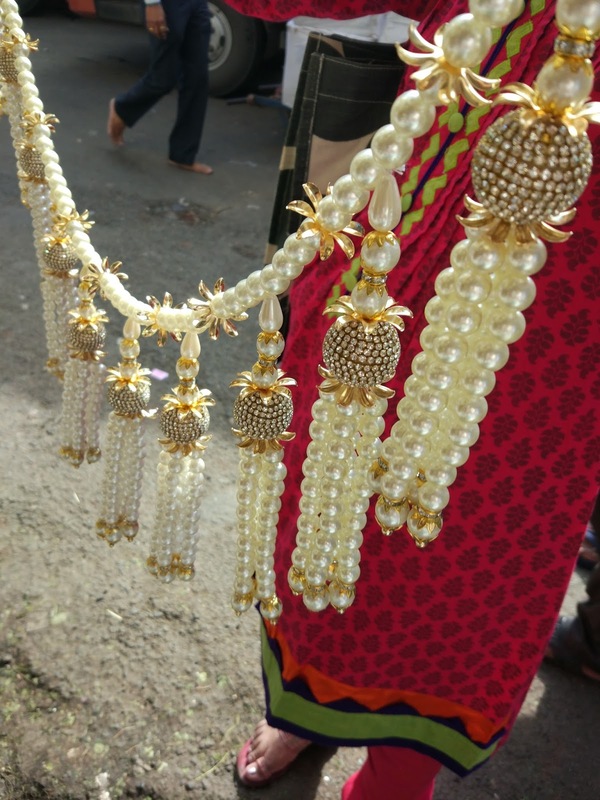 Artificial jewellery lovers would love the range available here - rows & rows of artificial kundan, diamond & gold jewellery shine brightly, tempting even the most virtuous buyer. We stumbled across stunning home decor items like door torans, danglers with color changing lights, diyas fo diwali, rangoli art (artistic art arrangement) & more ranging from INR 100 to INR 1000. Bhuleshwar market is one the most oldest markets of Mumbai that attracts regulars & tourists alike with mind boggling bargains. The easiest way to reach is to take a train till Chhatrapati Shivaji Terminus (CST) and take a cab till Bhuleshwar market. Alternatively, one can take a train till Churchgate station as well and than hire a cab. 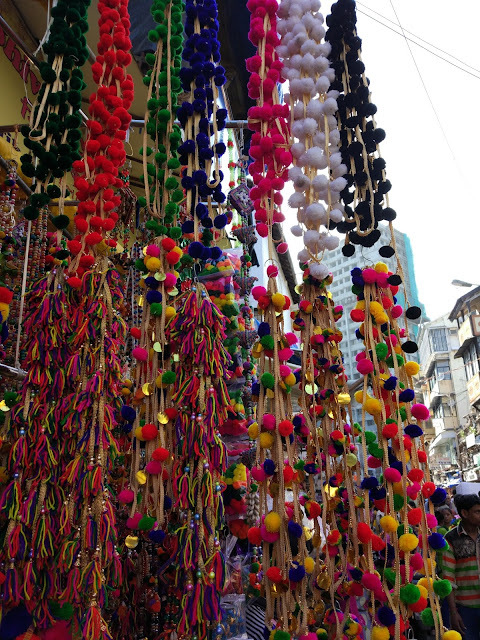 Bhuleshwar market remains open everyday except Sundays from 11 am till 9 pm approximately. Indulge in a traditional thali meal at Shree Thacker Bhojanalay or K Bhagat Tarachand restaurant. If you like fast foot delights, try the menu at Badshah followed with a chilled falooda. A khau Galli that comes alive from approximately lunch time, near the by lanes of Bhuleshwar serves everything from grill sandwiches, gol gappas to pav bhaji.